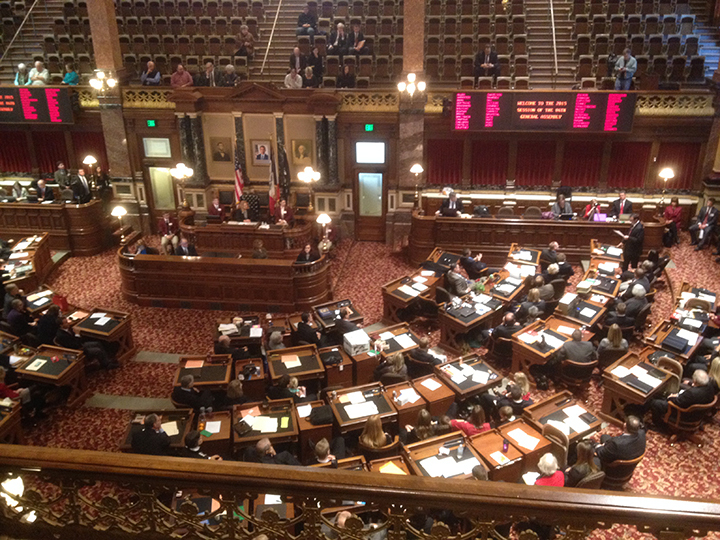 Outside observers often see legislative articles that talk about the “spirited debates” Republicans and Democrats have over important issues, but in reality, most bills are quickly and quietly adopted in both chambers of the Iowa General Assembly. Monday’s floor debate in the Iowa Senate was a perfect example of the general bipartisanship most Iowa Statehouse observers see on a regular basis. During the afternoon hours, the Senate voted 332-0 to adopt seven bills. Although individual legislators spoke out in favor of a couple of the bills, no substantive debate occurred. In fact, the total elapsed time of introduction, debate, voting, and motions to message the bills to the House was 46 minutes. That’s slightly more than 6 minutes and 34 seconds per bill. It takes roughly three minutes, after “debate” ends, to go through the voting process in the Senate. House File 202 – an act to allow retired dentists and dental hygienists to be re-licensed at no cost, if they provide their services at no charge (1 minute and 11 seconds of “debate”). House File 371 – an act to allow the disclosure of radon testing results of a residential home to a prospective buyer (1:25). House File 372 – an act to allow court-appointed special advocates to have access to confidential information regarding children in foster care (1:57). House File 395 – an act to allow for the regulation of pharmacy benefits managers in Iowa (2:00). House File 535 – the annual code writer’s bill of nonsubstantive changes to Iowa Code (2:13). House File 536 – the annual code writer’s bill of substantive changes to Iowa Code (4:08). House File 570 – an act to exempt municipalities from tort liability for recreational activities taking place on city-owned property without excluding cases of gross negligence (8:37).